No park service this summer, instead I wait, interview and write about sensitive subjects and matters. Talking to people on background and trying my dead level best to avoid any form of controversy. I know there are traps out there. Each story pitch is analyzed in great detail. I have recently returned from Washington, D.C. where I visited my friend Horacio for the first time. It had been over a decade since I last stepped foot inside America’s capitol. Much has changed in the nation’s politics since 2005. Horacio, however, remains as sharp as ever. I was thoroughly intimidated by his younger crowd of friends, envious of how openly the gays live their life there and saddened about my inability to relate. I suppose this is gay mid life crisis. I was grateful to secure a Capitol Tour through Florida Congresswoman Debbie Wasserman Schultz’s office. Debbie is quite the champion for South Florida liberals and her staff reflects the diversity of the Sunshine state. I met with a nice Jewish young lady who had recently moved over from the State Department. She explained to me the details of the Congresswoman’s upcoming trip to Africa. In a sign of the technological times we are living in, I took no notes, instead recording it all on my i-phone. I remain intent on discovering Africa. The destination, always, the last hurdle. “The real value of taking this trip is understanding what the ground really looks like,” said the nice Jewish young lady whose name shall remain anonymous. She said the Congresswoman’s visit to hospitals in Kenya and Malawi would be for women only. This killed my buzz. After visiting with members of the staff and interns, I was escorted on a tour through the Capitol by a nice young man from Miami of Puerto Rican descent. He was very knowledgeable of the details regarding paintings, rooms, statues and other facts of history. The young man knew the rules and was precise in pointing out important areas of the U.S. Capitol. After the tour, I thanked the young man and then ate lunch in the cafeteria. It was a beautiful day and I desired to go outside and walk about. 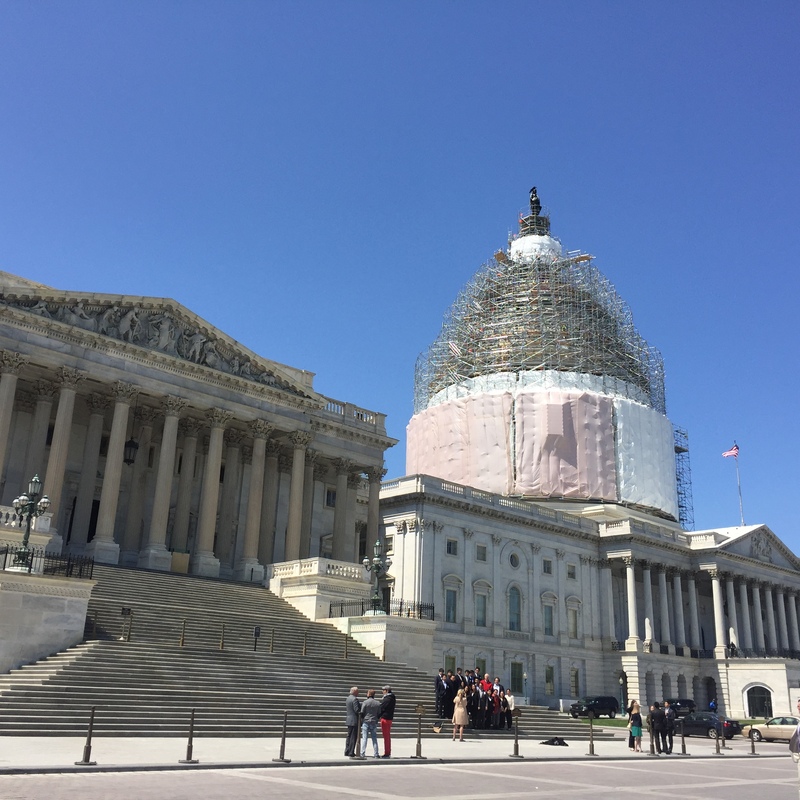 The Capitol dome was going through a remodeling effort and, elsewhere, across the avenue was a stoic Supreme Court building bracing to hear historic arguments in our defining cultural times. All was quiet outside on this day, but protests were indeed coming. Eventually, I found myself inside the botanical gardens. Horacio encouraged me to give it a look. 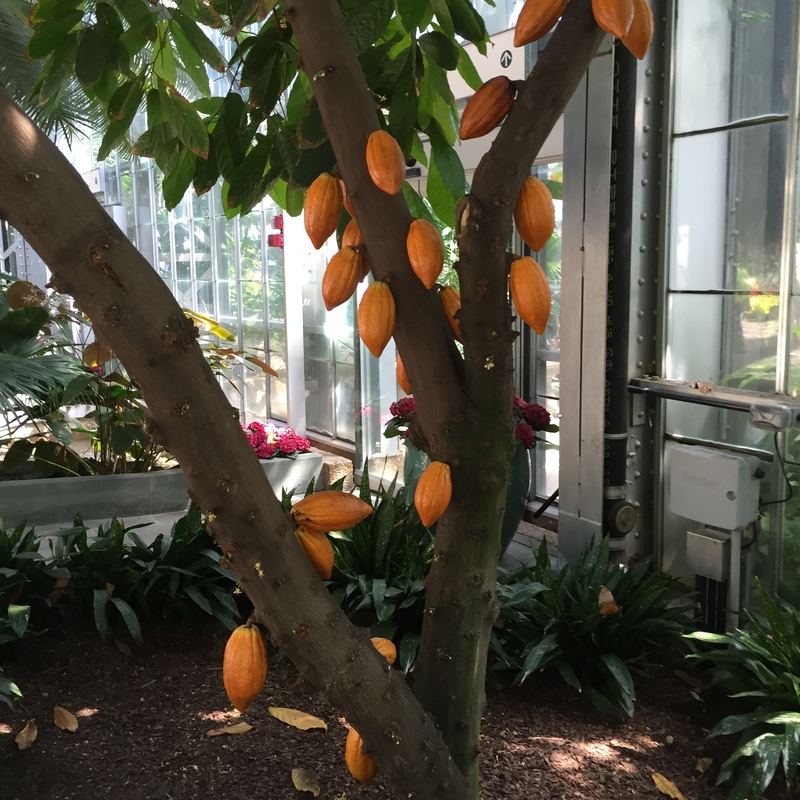 The chocolate trees were interesting as was the apparant ability on the part of the curators to basically simiulate many different forms of climate. And as one walked from room-to-room, those climates, they were a changing. Zing! My arrival in Washington was, for all intents and purposes, to set the stage for great things to come. I was grateful to be sleeping on a good friend’s couch in the district where power plays. Horacio would show me the way, but it would be up to me to fit in. After months in South Florida relaxation, this would be my challenge. And, as always, challenge accepted. Great blog John. Love your journey.